On Saturday the Dusit chapter of Soroptimist International, an organization that concerns itself with issues surrounding women’s welfare, held their biannual Bangkok Homes and Gardens Charity Tour. 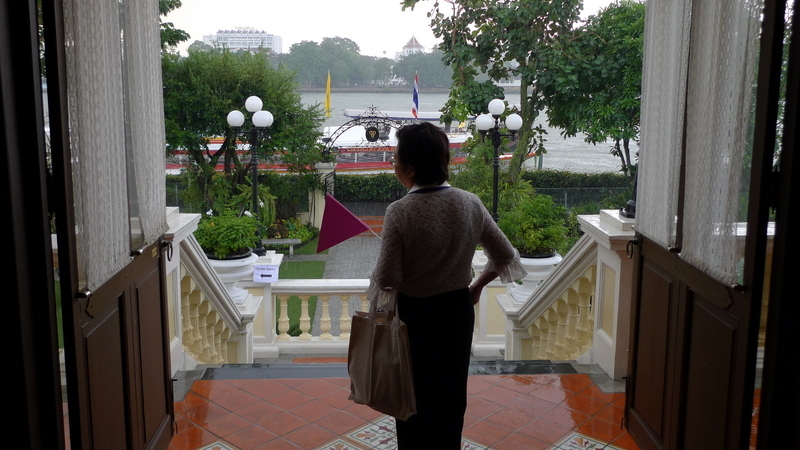 We had the opportunity to visit three beautiful homes all located on the banks of the Chao Phraya River. One was a prince’s home, another was a merchant’s, and the third was a nobleman’s. I’ve compiled a very nice (if I do say so myself) eight-minute video. Instead of duplicating the information below, I’ll post some pictures with very brief comments. 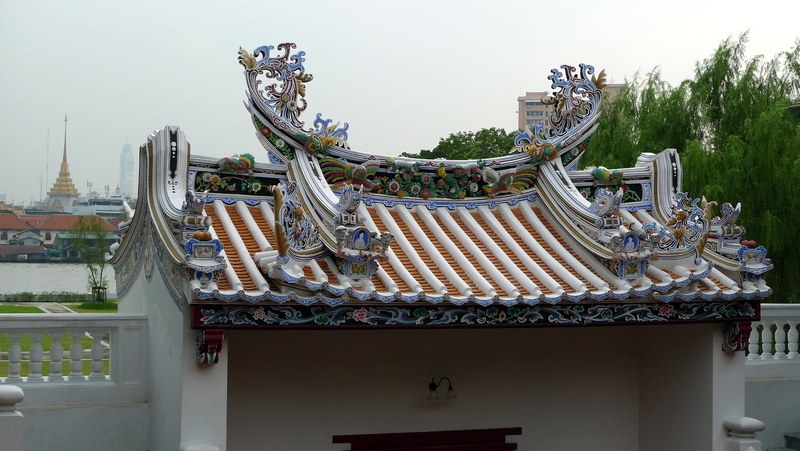 This Chinese house was built in 1881 by a rice merchant. The Wanglee clan owns it to this day. 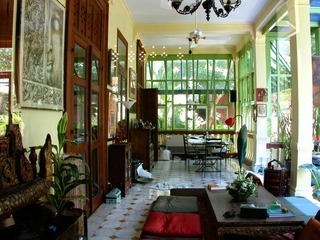 The house is built according to the principles of feng shui, facing the river. 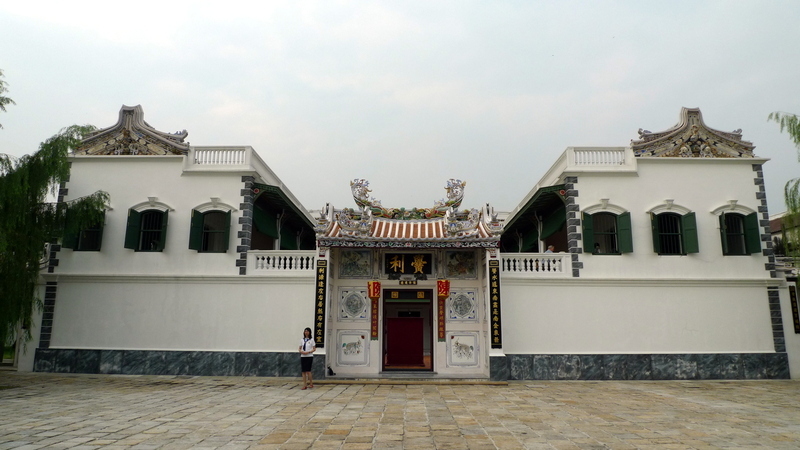 Designed in traditional Chinese courtyard style, the house represents a study of the Chinese culture brought to Siam by Chinese merchants during the 19th and 20th centuries. 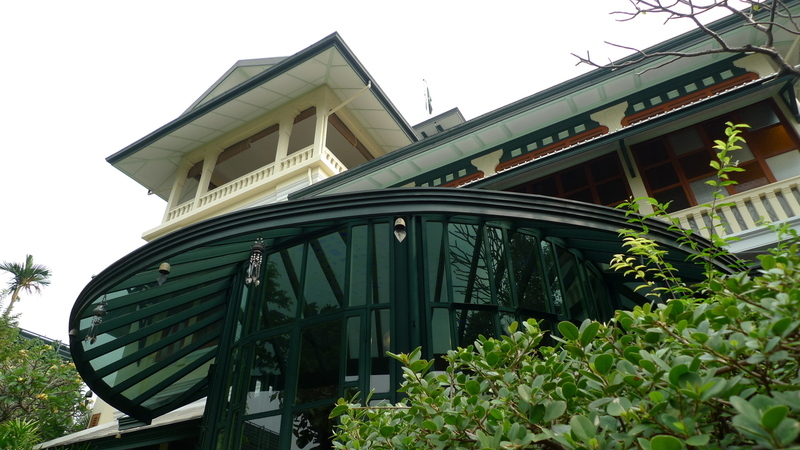 Pronounced “cha-kra-bong”, this house was built in 1908 by Prince Chakrabongse, the 40th child of King Rama V. While studying in Czarist Russia, he eloped with a Russian woman, bringing her back to Siam unannounced. 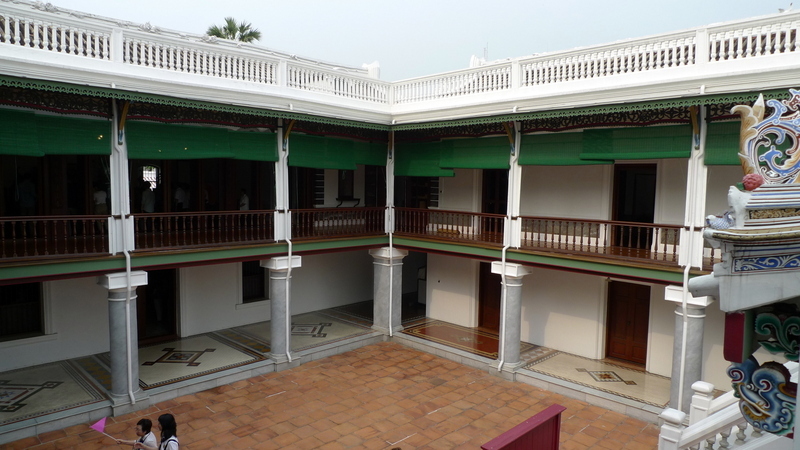 The house is now owned and lived in by the prince’s granddaughter. 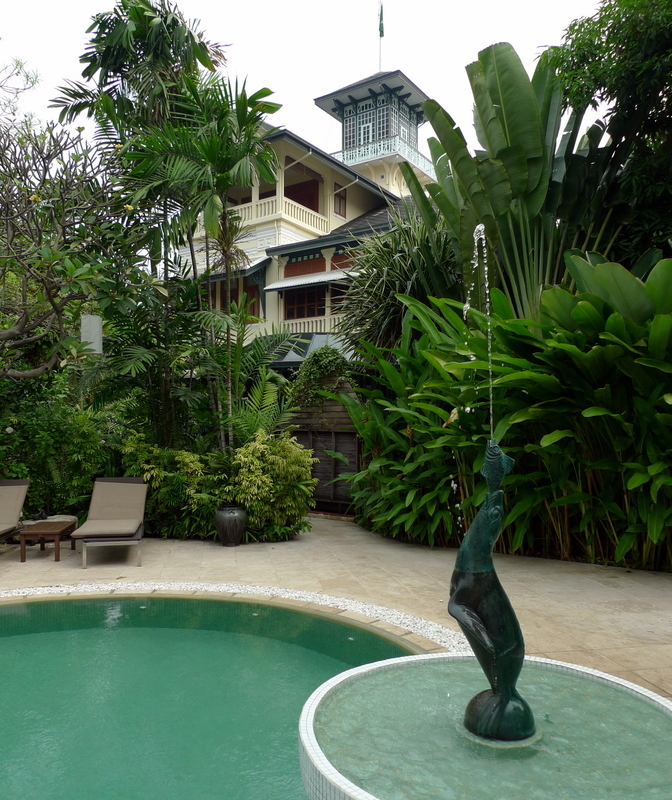 There is also a small boutique hotel built on the property closer to the river. We were provided a guided tour to the inside of the house. No photos were allowed so I have borrowed other photos that appear on the internet. 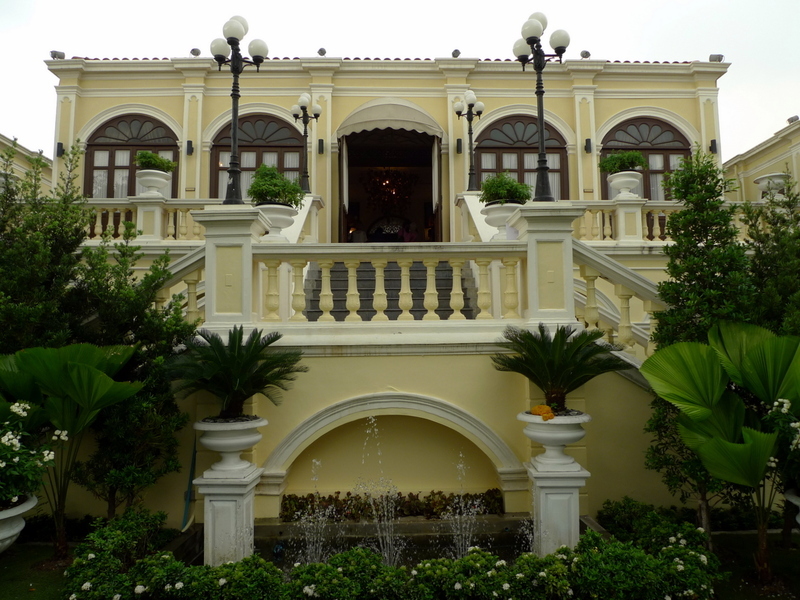 An Italian-inspired mansion built in 1923 by a colonel in the customs bureau during an era in which Italian artists and architects were all the rage in Siam. 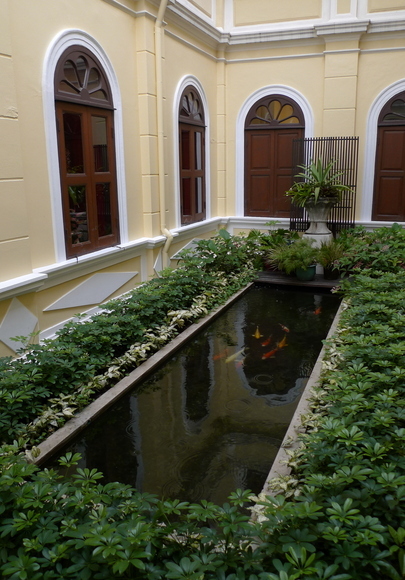 The palazzo is now a very exclusive 17-room boutique hotel, accessible only by boat. Very charming place. The unseasonable rain finally caught up to us and the hotel staff rounded up umbrellas to shuttle us back to the pier. Made it back to the Shangri-La Hotel reasonably dry and appreciated the opportunity to get a peek at what life was like in Bangkok a century ago. It’s immodest to brag, but I just had to share this with you because I’m so proud. 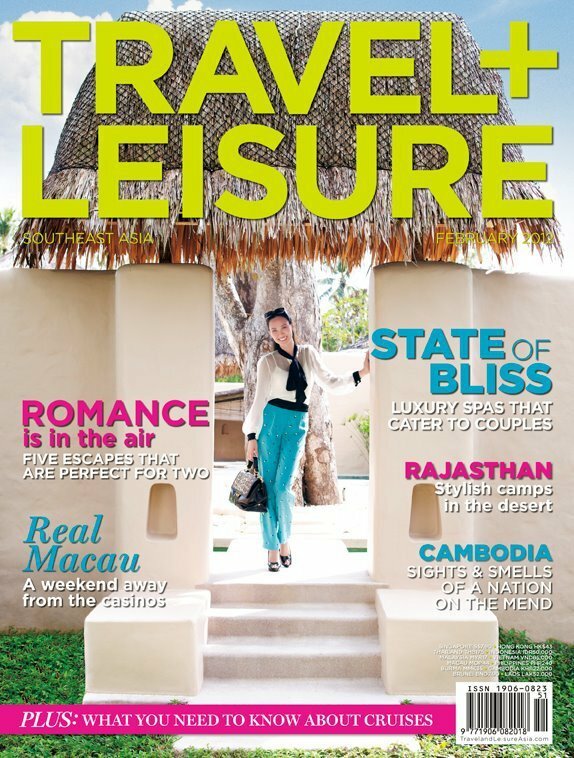 This is the cover of the February issue of Travel + Liesure magazine’s Southeast Asia edition. 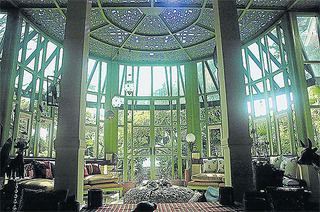 It features one of Tawn’s outfits and was taken at the Naka Island resort in Phuket during a December photo shoot for which Tawn was the stylist. I think it is beautiful. Hopefully, within about two more weeks he’ll be ready to launch his brand and I can share the website and more photos with you. Tawn leaves this evening for another shoot in Phuket, this one for five nights. 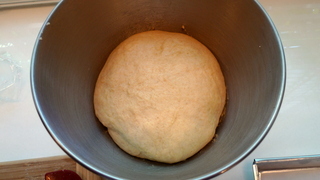 Left: the dough about half-rised; Right: freshly-cut donuts starting the second rise. 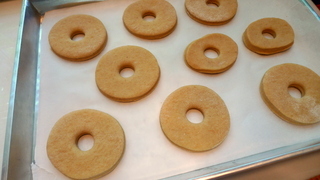 Baked donuts start out very similar to their more common, Krispy Kremed cousins. They are a basic yeast dough that is allowed to rise, is rolled and cut out, and then allowed to rise a second time before cooking. But instead of going through the hassle of deep frying (and having your house smell for days afterwards), you put them into the oven. While you can glaze them, I opted for a brush of butter and a sprinkle of cinnamon-sugar. 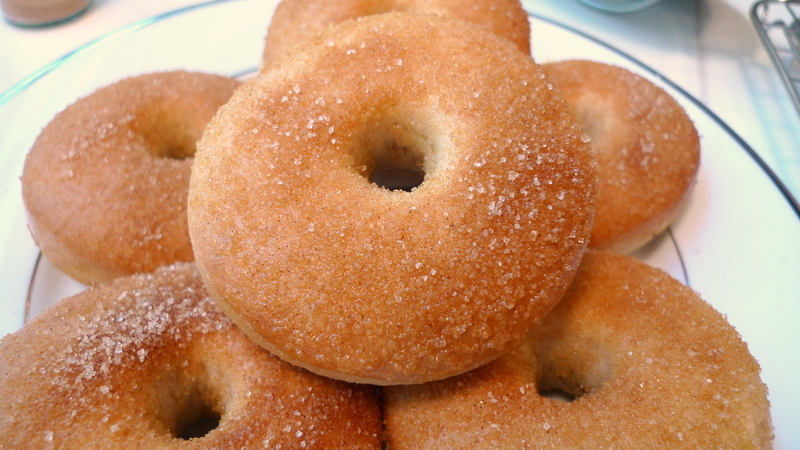 The end result is fluffy and delectable – different from deep-fried donuts but still very enjoyable – and with the cinnamon-sugar, it has a classic element. We couldn’t be bothered with a tripod so as to fit all three of us into a single picture. 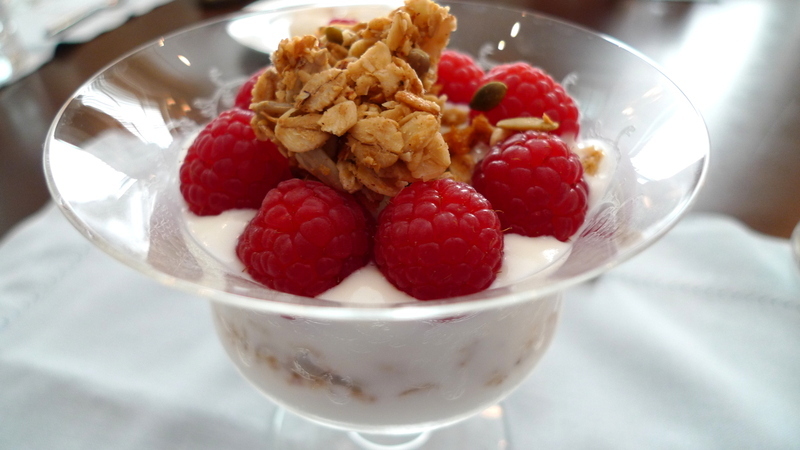 For dessert, I thought it would be nice to do something refreshing and relatively healthy. It was a bit of a splurge to buy raspberries and blueberries, both of which are imported, but they were really sweet and juicy. 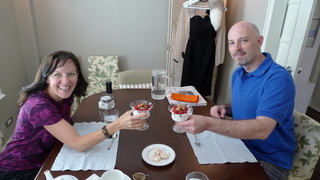 Paired with a bit of natural yogurt and homemade granola, the berries made for a very celebratory parfait and a tasty concusion to a special brunch. Jenny Forster is a contributor at catandnat.com, another site where my writings appear. She recently wrote an article about gem scams, a type of deceit all too commonly propagated against tourists in Bangkok. Every guide book warns of the scam and locals caution their visitors to be aware, and yet thousands of people each year fall for this trap. The end result is that you get taken for a very literal and unwanted ride. The tuk-tuk driver who was supposedly going to give you a half-day tour of the city or drive you to a special temple “because (insert name of popular tourist destination you were headed for) is closed for a national holiday,” ends up taking you to a supposedly government-owned shop offering special prices (“today only!”) on gems, or suits, or gold. Whether out of foolishness, guilt, or a sense of intimidation, you end up buying items whose true value is a fraction of what you pay. Your avenues of recourse are dead-ends and your pleasant Thai holiday ends up leaving a bitter taste in your mouth. Here’s a video that Jenny included in her article. It isn’t originally by her, but it is a very handy summation of how the scam typically works. 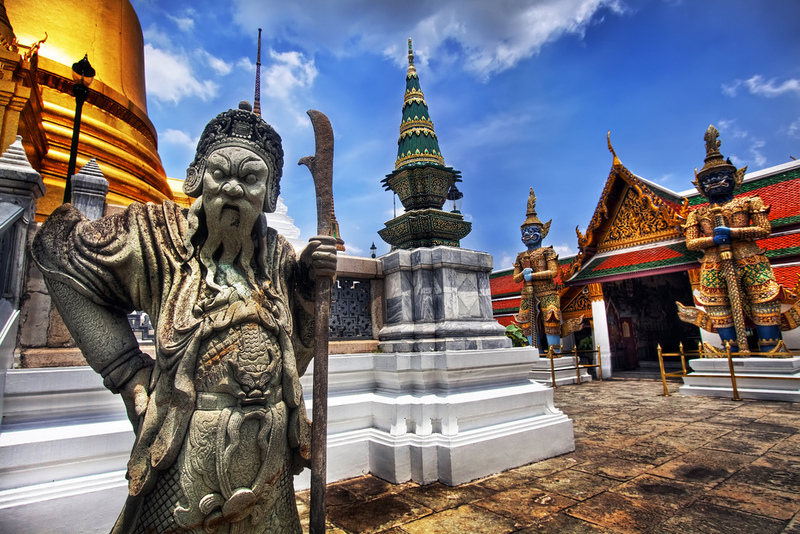 If you ever plan on traveling to Thailand, you should watch this video and educate yourself. Note that 99.999% of Thais are wonderful, kind, honest, and helpful people. But in the touristy areas, there are people who will seek to take advantage of you. By all means, come visit Thailand. Just say “no” to anyone who offers you a deal that sounds too good to be true. 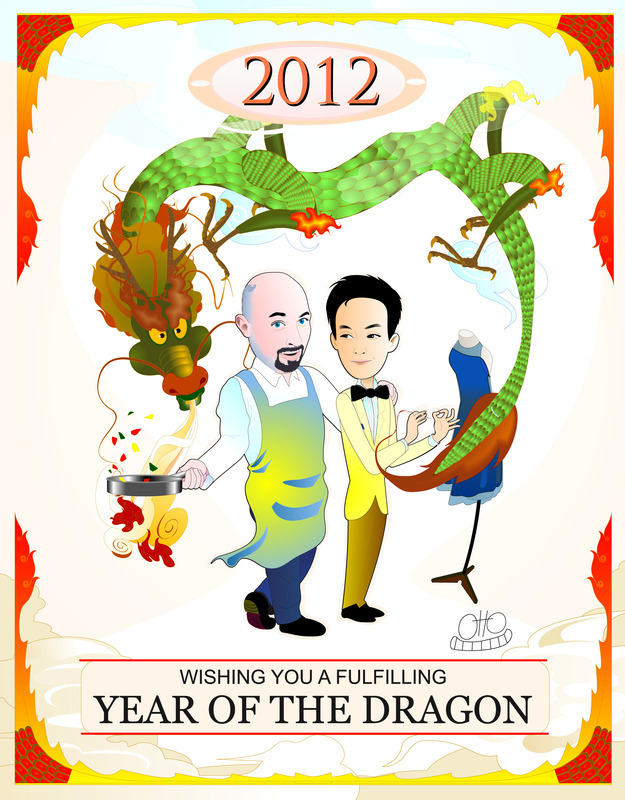 Illustration courtesy our Singaporean cartoonist friend, Otto Fong – author of the Sir Fong series. Every time I visit the US, I make a trip to Costco and buy several pounds of pecans and walnuts. Nuts (with the exception of cashews, peanuts, and macadamias, all of which are grown locally) are very expensive here in Thailand and I enjoy adding nuts to salads, pestos, and of course desserts. Recently, I perfected a pecan pie recipe that makes wonderful two-bite-sized tarts. The recipe started out from one contributed by an unknown source on the Food Network’s site. As such, they warned that the recipe had not been tested. Certainly not, as I found out after an initial mishap. Let’s put it this way: adding beaten eggs directly into boiling sugar syrup makes for sweet scrambled eggs – not a proper pecan pie filling! Instead, I rewrote the directions and, after testing two batches, made some adjustments to the ingredients to reduce the sweetness and richness of the filling while adding some depth of flavor thanks to the use of maple syrup. Preheat oven to 350 F (175 C). In a saucepan, melt the butter but don’t let it brown. Mix in the sugar, corn syrup, and maple syrup and cook, stirring constantly, over medium heat until the sugar dissolves. Temper the eggs by slowly pouring the sugar mixture into them while whisking continuously. Stir in the pecans then pour the mixture into the pie or tart shells. If you want to decorate the top(s) with whole pecans, you can do so. Bake 1 hour or until firm when shaken. Let cool before serving. If you are making the tarts in a muffin tin, you should carefully remove them to a wire rack after ten minutes of cooling, so they do not stick. ¹ Note that the corn syrup you buy in the store (like Karo brand) is not high-fructose corn syrup. ² I think the Grade B maple syrup, which has a richer flavor, is nice to use. If you have only regular maple syrup, that is fine, too. You can also substitute corn syrup if you do not have maple syrup. ³ Instead of tart pans, you can also use a muffin tin. 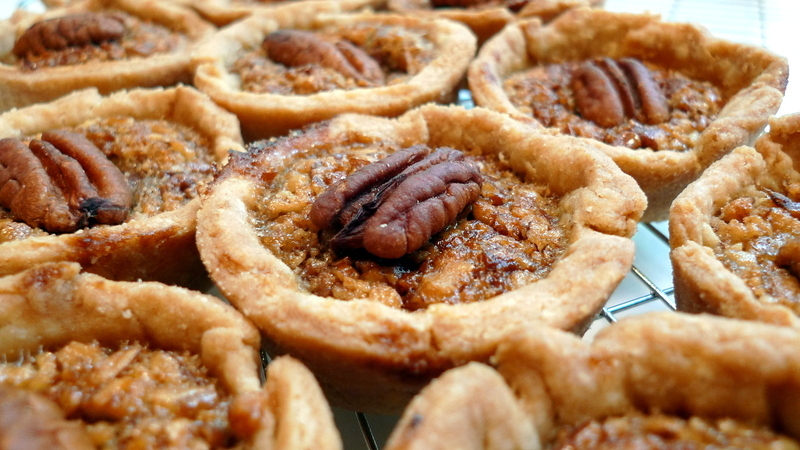 Pecan pies and tarts freeze beautifully after they are cooked. They can be warmed up in the oven for about 15 minutes before serving and they’ll be just as nice as if they were freshly-baked. I owe you an explanation. Normally, I don’t time-stamp past entries back into the present. In this case, though, I felt the need to time-stamp the “Getting to Know Me” entry because I anticipated some new visitors after I participated Wednesday morning in a panel discussion about working overseas. 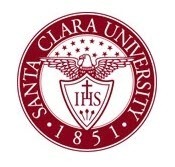 A few months ago, the director of the Santa Clara University career center contacted me. She was looking for alums who currently live and work overseas to participate in a panel discussion. I eagerly accepted the invitation, being a strong believer in the importance of networking. This was to be the university’s first-ever panel discussion hosted via Skype video conference call and streamed live. It took a few practice calls for the director and the panelists to work out most of the technical glitches. The experience actually served to illustrate one of the challenges of living and working overseas: unreliable internet service! 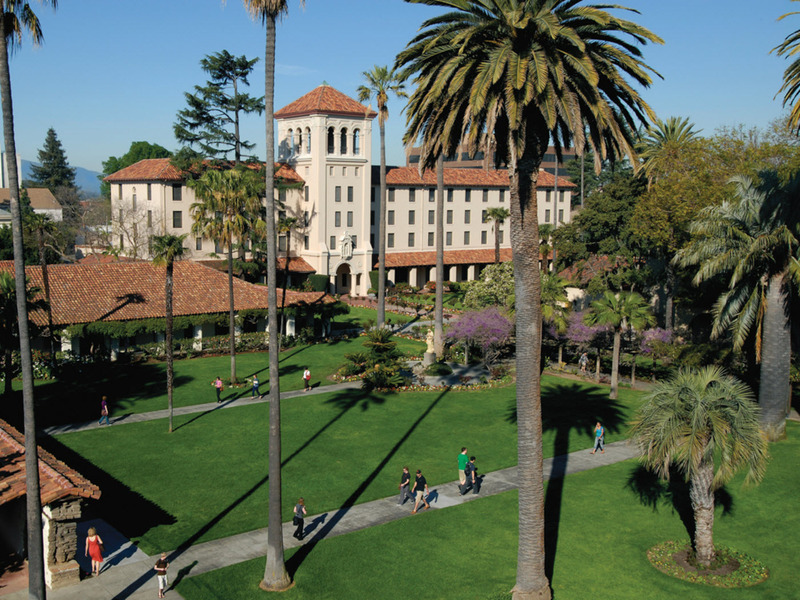 The lush grounds of Mission Gardens at my alma matter. The discussion itself lasted an hour and featured eight panelists: two from Thailand, three from China, and one each from India, New Zealand, and Nicaragua. An hour didn’t give us a lot of time but we were able to talk about what made our work-abroad experiences unique and what suggestions or advice we would give people interested in working abroad. First, the importance of networking. Whether through your alumni association or just through informal socializing, when you live abroad, many of your best breaks will happen because of a friend-of-a-friend or an “Oh, I was just talking to someone the other day who is looking for someone with that skill” conversation. Second, you really have to be patient and take the big picture view. Living overseas – and especially working overseas – involves a lot of challenges and uncertainties. Few things ever go the way you plan and even fewer go easily. Being able to put things in context and not let small things bend you out of shape will help save your sanity. Near the end of the call, I shared my blog address as an additional resource for people who might be curious what life in Thailand is like. That’s why I anticipated some new traffic. If the first thing they saw was a picture of the emergency slide rafts of a Boeing 747, they might get the wrong impression. If you are interested, you can view the recorded event here at Livestream.com. There were a few technical glitches but all in all, still interesting.